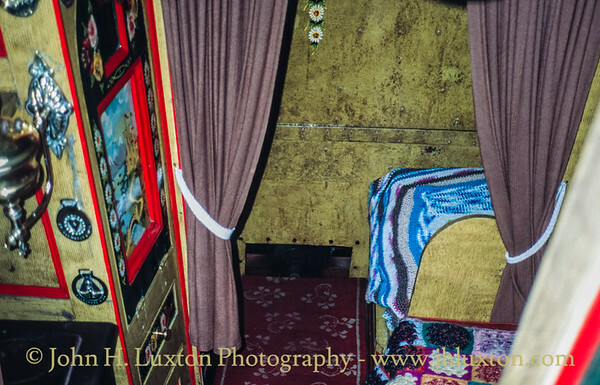 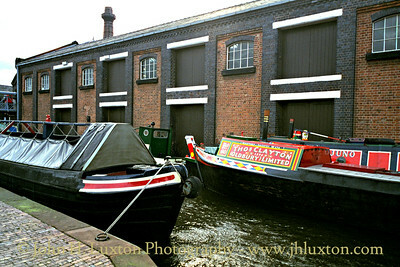 35mm Archive Photographs taken at the Ellesmere Port Boat Museum - which is today the National Waterways Museum - Ellesmere Port. 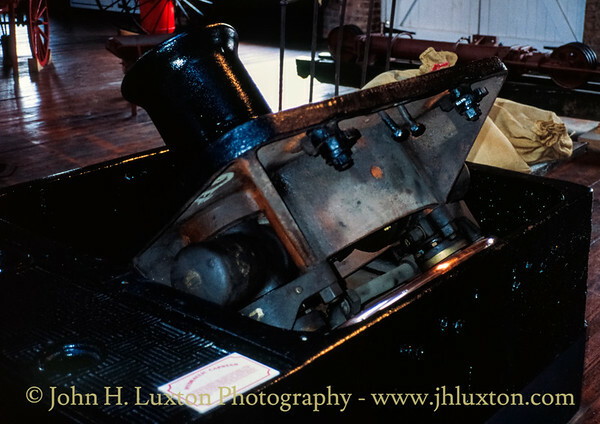 Mechanism of a hydraulic capstan used for moving boats and railway wagons. 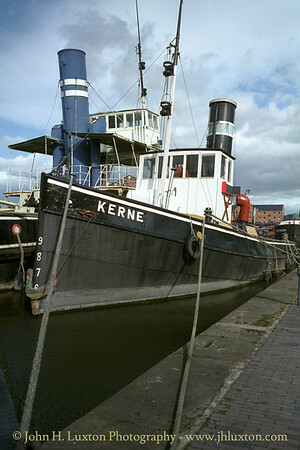 Preserved steam tug KERNE alongside the decaying Manchester Ship Canal Company steam tug tender DANIEL ADAMSON. 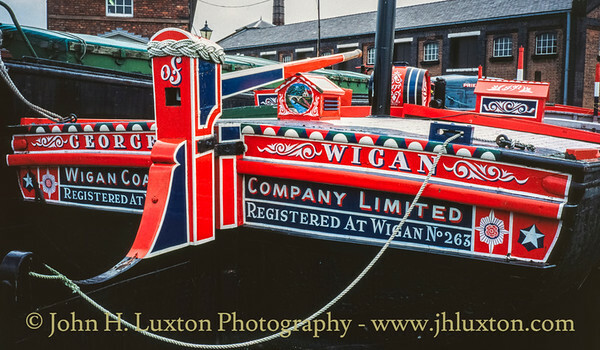 Happily the DANIEL ADAMSON was restored to operational condition between 2004 and 2016. 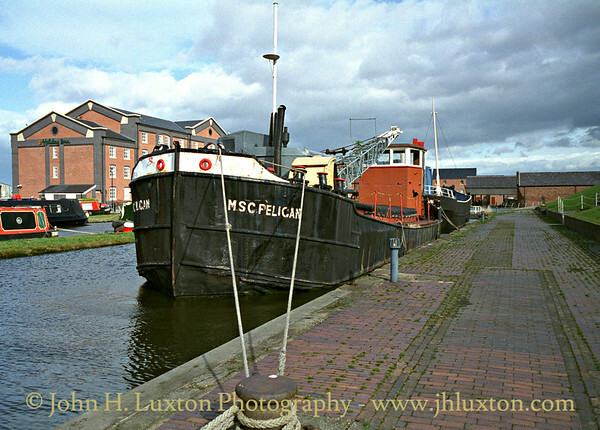 Manchester Ship Canal Company crane barge MSC PELICAN. 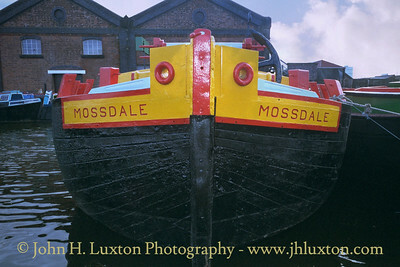 Mersey Flat MOSSDALE which was allowed to deteriorate into deplorable condition despite having been previously restored as can be seen here. 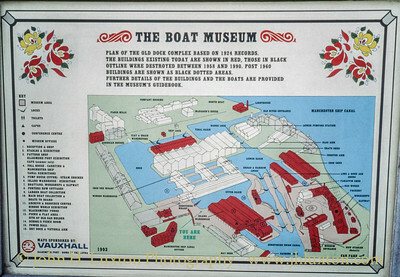 This vessel is listed as a National Historic Ship. 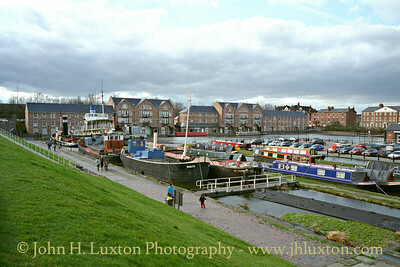 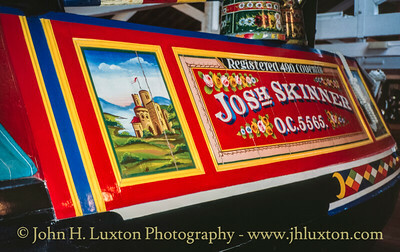 The :Lower Basin at Ellesmere Port Boat Museum. 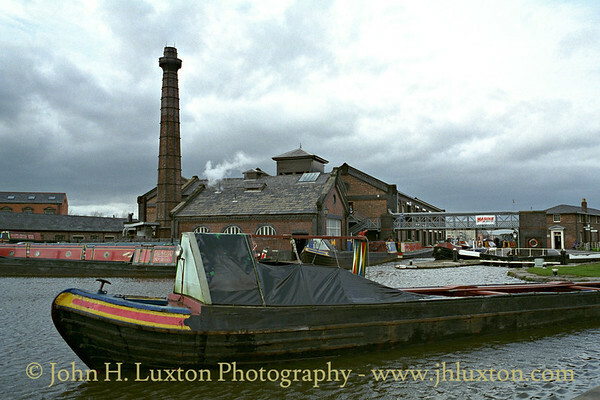 Among the vessels to be seen are the steam tug KERNE and also the laid up Manchester Ship Canal tug-tender DANIEL ADAMSON which was allowed to decay into a dreadful state. 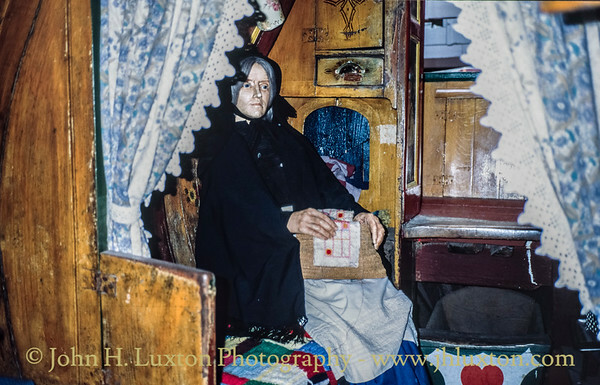 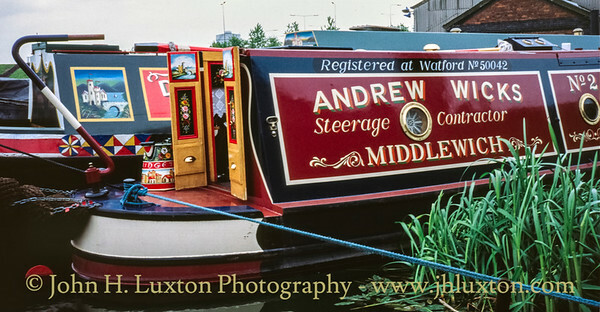 Fortunately she was rescued in 2004 by the Daniel Adamson Preservation Society to be returned to operational preservation in October 2016. 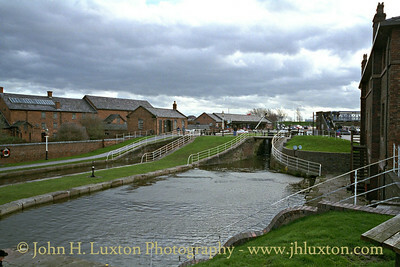 The Narrow and Broad Locks which provide a link between the Lower Basin and the Upper Basin on the Shropshire Union Canal at Ellesmere Port. 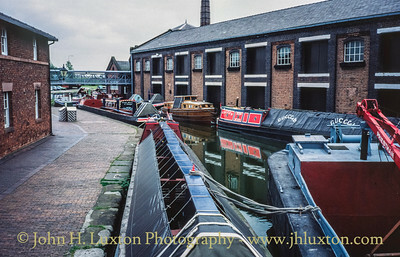 The upper basin and bridge which provides a link to the island warehouse. 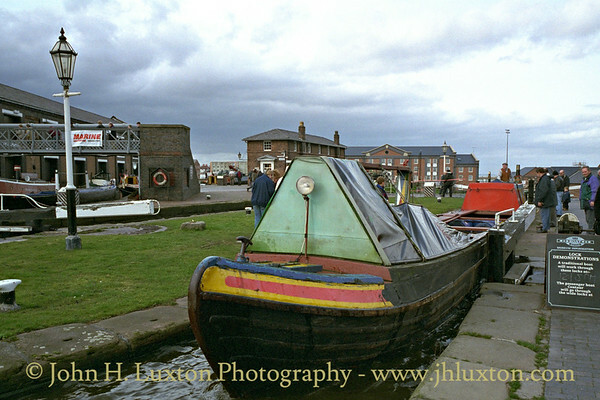 A Narrow boat running up in the narrow lock which provides a link between the Lower Basin and the Upper Basin at Ellesmere Port on the Shropshire Union Canal. 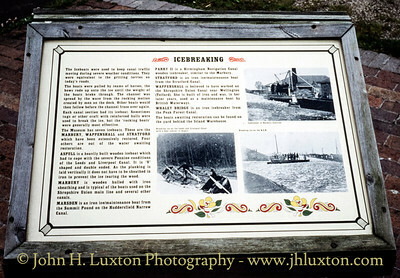 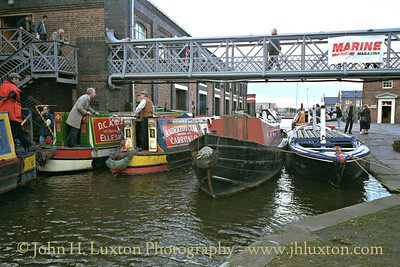 Gogoozlers watch a Narrow boat entering the narrow lock which provides a link between the Lower Basin and the Upper Basin at Ellesmere Port on the Shropshire Union Canal. 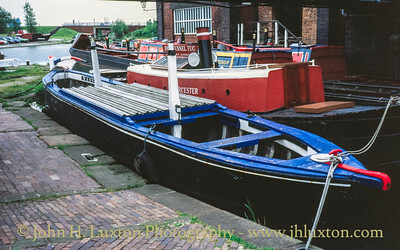 Narrow boat in the narrow lock which provides a link between the Lower Basin and the Upper Basin at Ellesmere Port on the Shropshire Union Canal. 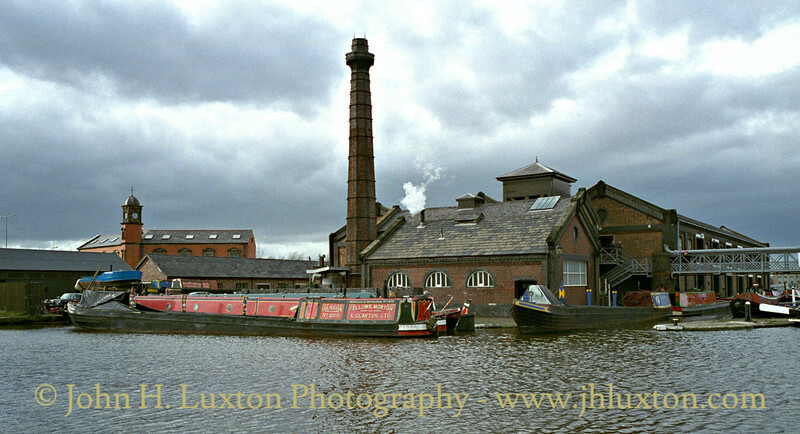 Narrow boat passing The Shropshire Union Canal Island Warehouse. 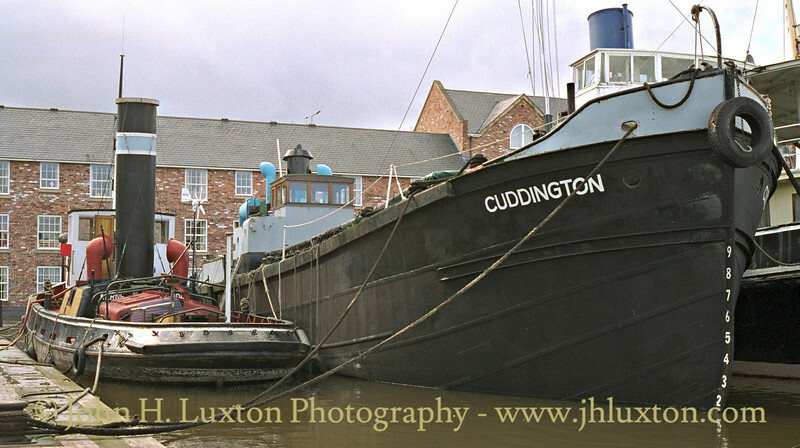 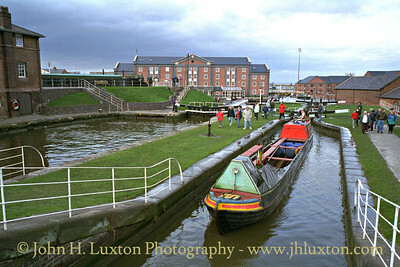 Steam tug KERNE,, Weaver Packet CUDDINGTON and DANIEL ADAMSON seen on the lower basin at the Boat Museum in March 1998.